Carole Smith was first brought to CRBC at the age of 3 on the instruction of her Grandfather, whose family were all staunch attendees and she was baptised 13 years later. After formal residential Sunday School training, she began teaching at the age of 19 and some years later was appointed the Sunday School superintendent, which she held for 12 years and subsequently made a Church Deacon for the duration of 14 years. Her husband Derek was a member of our sister Baptist Church in Belton Street, Shepshed and they were married at CRBC in 1971. Their 2 children were regular attendees of the Sunday School. 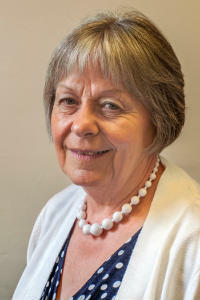 Carole was re-elected onto the Diaconate and to act as Church Secretary in 2016. 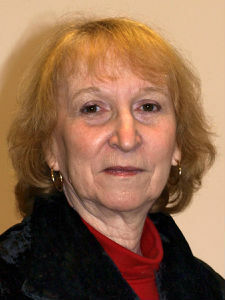 Maureen Walbey was born in North London but when she was 9 moved with her family to Potters Bar, Hertfordshire. She started to attend an Anglican Church when she was 9 years old but after leaving the church in her teens for a number of years she returned when she had her children, wanting them to grow up with a church background. She later left to go to a local Christian Fellowship in St Ives, Cambridgeshire, where she was led to Christ and was baptised. She moved to Shepshed with her husband in 1989 when his job was relocated and soon started to attend CRBC and became a Deacon in March 2004. Her main role as a Deacon is Minutes Secretary and she is responsible for visiting fellowship members. She also cleans the church, arranges flowers and is the kitchen supervisor. Robert Ellett was born in Middlesex and for family reasons moved to Shepshed in 2006 when he and wife Ruth started to attend Charnwood Road. Bob started attending a church in 1970 out of curiosity and was baptised in 1970. 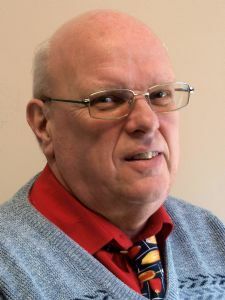 He was elected to the Diaconate at our Annual Church Members Meeting in March 2008, but he had been a Deacon in a previous church. Bob and Ruth, his wife, have been involved in mission work for many years and in 2007 spent 5 months in Nagaland where Bob helped install the electrics in a hospital being built in Dimapur. Kenny Henry was born in Glasgow in 1966 and lived there until 1989 when, having been made redundant, he came to study at Loughborough University. He graduated in 1993 and joined the police. At around that time he met his wife, Annette, and attended his friends Alastair and Karen's wedding at the Baptist church in Renfrew where he had grown up. In 1995, having been married themselves, Annette and Kenny moved to Shepshed and he started attending Charnwood Road BC. He has been attending ever since and on 3 December 2006 he and Annette were both baptised. They came into membership shortly after that and in March 2010 Kenny joined the Diaconate. In addition to his role as Deacon, he is Assistant Scout Leader with Belton and Hathern Scouts who meet at CRBC on a Wednesday evening and he is also a member of Shepshed Lions Club. Rob Block was born in Grimsby and came to Loughborough in 1968 for an apprenticeship at Brush Engineering Ltd. He met and married a local girl and they have twin daughters. 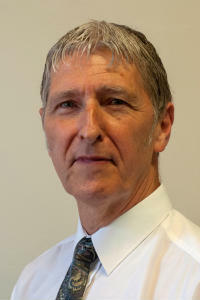 Rob came to Jesus in 1975 and became a Member of Quorn Baptist Church where he served on the Diaconate for 1 term. He lost sight of God for a time then returned to God and back to Quorn BC. Lately Rob felt the need to move and believes that God led him to Charnwood Road. Rob became a Deacon in 2014 and prays that he can serve God and this fellowship with the gifts God has given him. 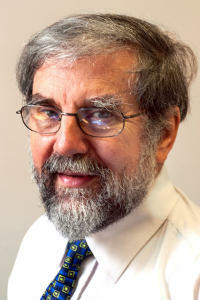 Martin Blyth grew up in Long Whatton and attended Long Whatton Baptist Church for a number of years as a child before deciding not to go any longer. After his school years Martin took up an apprenticeship as a sign writer / coach painter and now works for a well known group of companies following his trade. Some years later Martin felt something was missing in his life and started attending Long Whatton Baptist Church once again where he and his wife Linda were married in September, 1990. 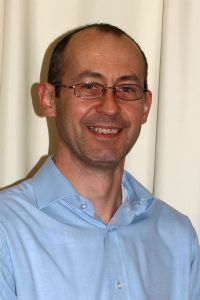 In 1995 he and Linda left Long Whatton Baptist Church and moved to the Gorse Covert Free Church in Loughborough where Martin became a Deacon for several years. In 2011 Martin and Linda moved to Charnwood Road Baptist Church where they have continued to worship ever since, becoming involved in several aspects of our church life including recently sharing teaching duties in our churches Sunday Club for the children during Morning Services, and Martin was appointed as a Deacon in November 2017. 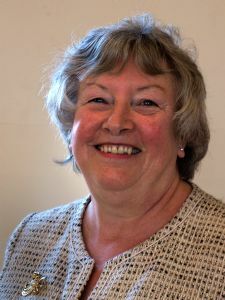 Sandra Baxter has lived in Shepshed all her life; she was christened and attended the local Anglican Church for many years, but in her late Twenties stopped regular attendence. But in 2012 she was led back to Christ here at Charnwood Road Baptist Church and was Baptised in 2016. In March 2019 she became a Deacon. Irene Newton was born in Leicester and in her youth attended the St Gabriels Church on Edgehill Road and then Barkby Road as a teenager. She then left the church for a while. Irene met her husband, Barry, in 1979 and moved to Shepshed - neither of them attending church at that time. Later, after becoming a Town Councillor, both were invited to a Civic Service at Barry's old church and started going regularly. They eventually settled at Charnwood Road Baptist Church where they are both actively involved, Irene especially with Ladies Fellowship and Women Together. 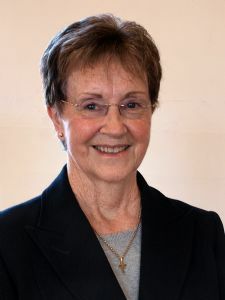 Irene became a Deacon in 2019 and prays that God will use her gifts to serve others wisely.